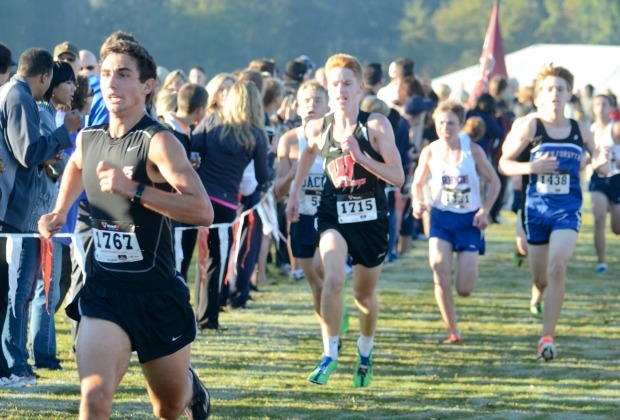 The Grady boys and North Atlanta girls each won at the Atlanta Public Schools championships on Oct. 15 at Grant Park. North Atlanta came in second in the boys meet with 35 points, just behind Grady’s 31. Mays (76), Washington (127) and Maynard Jackson (139) rounded out the top five. Sophomore Jackson Pearce of North Atlanta won the race in a time of 18:38.71 while Carter Guensler took second in 18:51.67. North Atlanta had three of the top five finishers as Nicholas Durham took third and Jack Tribou came in fifth. Grady’s Anders Russell took fourth. In the girls race, North Atlanta edged Grady 26-29 while Washington (96), Coretta Scott King (119) and Maynard Jackson (122) took third through fifth places. Grady and North Atlanta, in fact, combined to take every spot through No. 12, with the Grey Knights taking seven of them. Grady’s Margaret Stockdale won the race in 22:51.61, just ahead of Glenda Tutt of North Atlanta who had a time of 22:58.15. The Warriors also took third and fifth places with Kendall DeLaria and Madeline Pearce while Grady’s Ludovica Longo came in fourth. The Marietta boys and Marist girls each came away with wins in the Coach Wood Invitational in Gainesville Saturday. Northview’s Lindsay Billings won the girls race and Reilly Friedman of Galloway won the boys race. Marietta dominated the boys race with five harriers in the top 20 and a score of 51. Second-place St. Pius came in second with 100 fewer points while Milton took third (203), Mill Creek came in fourth (215) and Brookwood was fifth (221). In the girls race, Marist (89) edged Northview (89) by a point while Milton (152), Lovett (162) and Mill Creek (182) rounded out the top five. Billings (18:00.44) was trailed by Marist’s Morgan Ilse (18:24.62), Lovett’s Serena Tripodi (18:47.25), Woodstock’s Alexandra Melehan ( 18:58.23) and Walton’s Avery Bussjager (19:04.58). Friedman beat out Christian Bowles of Lakeside-Evans, who turned in a time of 16:07.39. Also in the top five were Marietta’s Khayvonn Benson (16:09.36), Marist’s Frank Pittman (16:13.62) and Kell’s Logan Poteet (16:21.02). In other races, the Rome boys and Darlington girls won at the Rome Area meet hosted by Berry College Saturday. … The Northgate boys and Newnan girls won at the Coweta Cup Saturday at Northgate. … The Rockdale County boys and Heritage-Conyers girls each took home trophies at the Rockdale/Newton Championships hosted by Heritage Thursday. … Union Grove swept the Henry County cross country championships in Hampton Thursday.